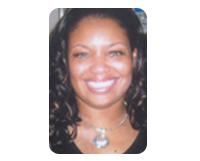 Chanel Timmons – The Susie Reizod Foundation, Inc.
Chanel Timmons is a freelance artist. For the past 20 years she has worked with corporate and individual clients. Her areas of expertise include interior design, portraits, murals and ceramics. She also serves as a personal stylist for a select clientele.